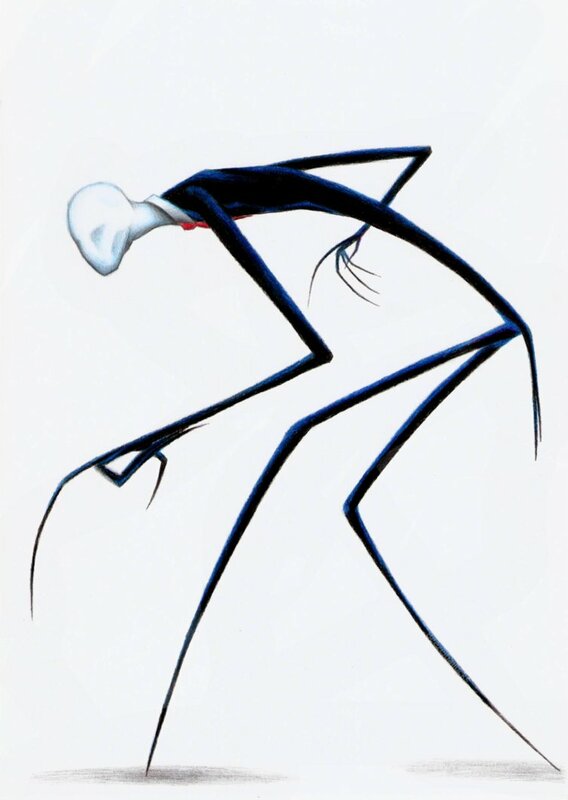 Slender Man (also referred to as “The Operator”) is a mythical creature first named on the Something Awful forums for a miscallaneous contest, and created by user “Victor Surge”. The creature has rocketed in popularity across the web, and even spawned numerous web series like Tribe Twelve, Everyman Hybrid, and the most popular, Marble Hornets. These Channels document their endeavors with the paranormal being as well as others. Slender Man is described as a tall, thin entity bearing a striking resemblance to a human male. He is occasionally shown in art or photographs with long, tentacle-like appendages protruding from his back. Slender Man is completely pale, and possesses no face features whatsoever, and wears a a black formal suit. It remains a mystery how he goes mostly unnoticed in public areas despite these distinguishing marks. However evidence to his existence is poor at best.